He sat down and switched on the television. Switch the lights off when you leave. A switch is something that you use to switch something on. If you switch something, it means that you change it. If you switch something with someone, it means that you give them your thing, and they give you their thing. Can I switch seats with you? At Christmas, there are usually lots of lights—on Christmas trees and in the streets. Cities often switch these lights on at the end of November or the start of December. In the UK, people come to see the Christmas Lights Switch On, and sometimes there is a party in the street with music and other shows. 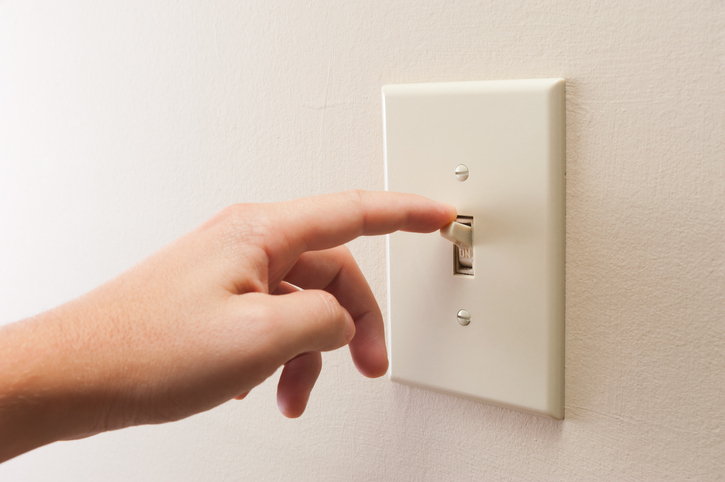 A famous person usually pushes a big button to switch on the lights. In this video, the famous person is one of the Spice Girls. Do you know which one? There are other meanings of switch.